I was hot, sweaty and tired after a long afternoon of writing followed by a brisk three-mile walk, but someone has to buy the groceries for my family and that someone is me. Wearing my favorite emoticon-covered work-out tank and some scruffy shorts, I hopped into the car. I thought about running a brush through my hair, but it was windy day. Why bother? I thought about slapping some make-up on, but why would I do that when I just needed a few things from the store? While I was selecting some Walla Walla sweet onions, a woman near me said, “I like your shirt.” I smiled and thanked her. When I nodded. 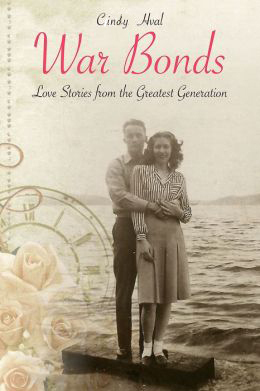 She grabbed the guy stocking produce and gushed, “Do you know who this is?” And said some very lovely and kind things about War Bonds. There’s a moral here. There’s a lesson to be learned. For me it’s this: I can’t go grocery shopping anymore, ever again.